‘Timer to Light’ lamp is a simple, yet innovative concept idea designed by Jasper Hou for illuminating spaces, perfect for those who often fall asleep with the lights on. 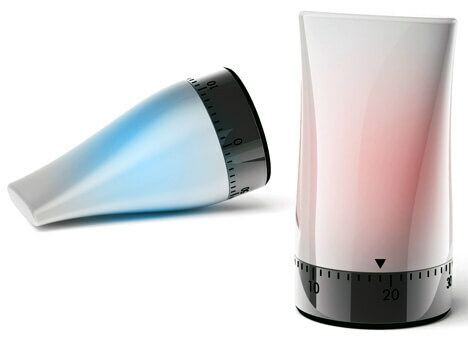 The concept is very interesting because the lamp works as a timer and is activated by twisting. It emits a soft LED light created mechanically once you wind it up and stays on as long as you’d specified before. So, you don’t need to worry about because it will turn itself off when time expires. Safe and economical, it’s ideal for bedrooms because it seems to have similar ambient effect as it has candles. With an original design, the ‘Timer to Light’ lamp comes in a variety of pretty colors.